We've got some fantastic news. 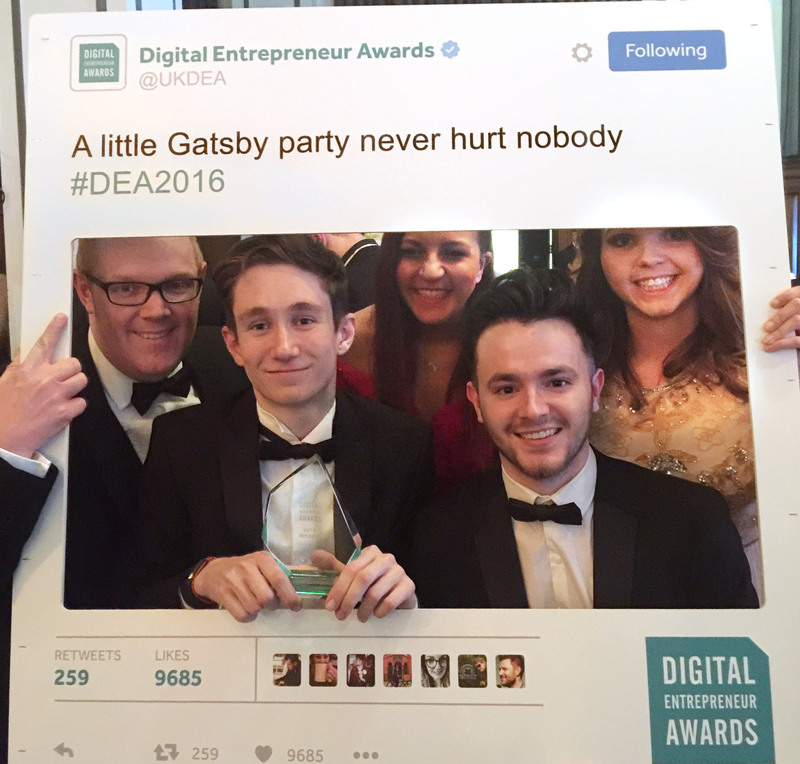 Our team at Digital 22 won an award at the Digital Entrepreneur Awards 2016! We're proud to announce our design team won the 'Most Innovative Use of Video or Animation' Award for one their animation videos. The Digital Entrepreneur Awards is a national awards ceremony dedicated to digital entrepreneurialism. For over nine years, they've judged and chosen the submissions they think are the best. As the Digital Entrepreneur Awards is the only competition of its kind in the UK, we knew the competition was going to be tough but we submitted our best work and crossed our fingers. We were nominated for the 'Most Innovative Use of Video or Animation.' In this category, the judges were looking for an innovative online animation or video that was at the heart of a business strategy. Many animators and film teams entered so we were chuffed even to be nominated. We were invited to attend the awards ceremony in Manchester, and along with a fantastic night, took home the 'Most Innovative Use of Video or Animation' award. Check out our winning video. It's an animation we made for Gov.uk to inform UK employees about the National Occupational Standards (NOS). To win an award at such a celebrated and prestigious competition has been great for us. We were up against six other agencies so the competition was very intense. It was a proud moment to go up on stage and receive our award. Being nominated, and then winning an award just shows how far we've come over the years. We are committed to learning and developing our craft. Creating personalised inbound marketing strategies and creating incredible designs for our clients is our passion. We are determined to continue learning and to continue providing an innovative marketing strategy. From everyone at Digital 22, well done to our designers for their hard work! Fancy getting some FREE marketing tips from our team? We want to help educate people about inbound marketing and support businesses who want to grow. So, our teams at Digital 22 sat down together and shared their knowledge and experience into this free guide. Take advanatage of these marketing tips and get ahead of your competitiors. How Important Is Social Media Content To Inbound Marketing?